Online traffic directly affects the number of leads a business acquires. So it is one of the best performance indicators for online businesses. Mostly webmasters and Internet marketers focus on search engines, and social networks, but you should not stop there. there are many other ways to boos up online traffic to your site. Online marketing is full of competition and you have to do lot of efforts. 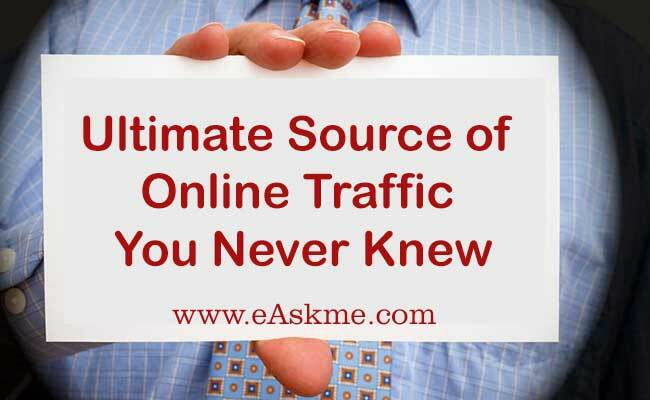 Today we will discuss about 5 ultimate sources of online traffic which you haven`t considered for your blog or website. Reddit is a popular sharing platform with Google Pagerank 8. Members on Reddit can upvote or downvote your submissions. Reddit is a biggest community where your an share everything with members. President Obama started an “AMA” thread on Reddit and generated 2,987,307 views and 10,000+ comments on the same day. Best thing is that external links from reddit are dofollow, which is good for SEO. 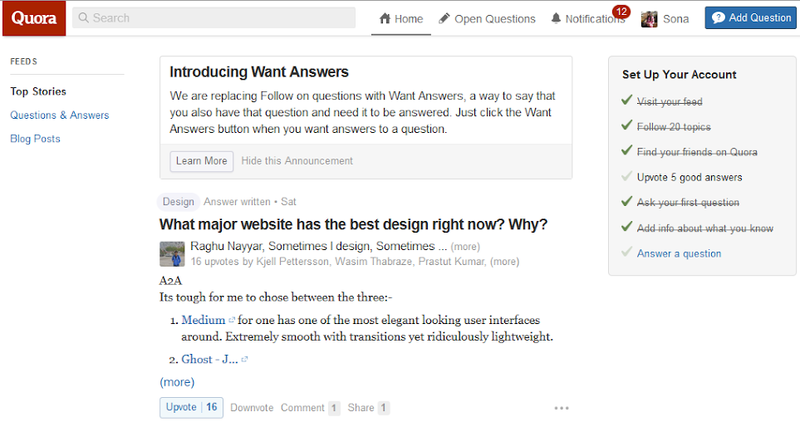 Quora is not as big as Reddit but has really impressive features. Quora is actually a famous question and answers platform. Your an answer questions asked by people and you can also ask questions. Users can follow questions and also do voting on them. The best thing about Quora is that questions cannot be closed. Your questions easily reach around 3 monthly visitors worldwide. Qura also rewards you for user engagement when someone follow your question and you can use these quora credits to promote your blog posts. Follow relevant topics of your niche and answers questions. Include links back in answers. Alltop is a content aggregator that aggregates and syndicates web content. Alltop attracts around 0.5 million unique visitors per month. It has around 600 different topics. It is always good to submit your blog or website to Alltop. Visitors find your content and you get good traffic and generate leads. Some other popular aggregators are Lockerdome, Huffington Post, Newsvine, Popurls, Bing News, Google News and Yahoo News. You just need to create account, submit your content and wait for approval. With the origin of “Create a Post” feature, LinkedIn has crossed also turned into a blogging platform. Linkedin is one of the best way to generate professional traffic to your blog or website. Benefits of blogging on LinkedIn Create a Post. LinkedIn has more than 330 million users and 8.5 billion pageviews per month. Your subscribers also visit on your feed. Your connections share you valuable posts. You need not to work on original content. We have already talked about Effects of Blog comments on Blog Traffic. So rather than telling why you should comment, we will discuss about strategies to generate traffic from comments. As top 5 results of search engine always get more traffic, same way the first comments on the blogs get you more traffic. So be the first to comment. Add valuable comments where author reply to you, It add value to CTR. Avoid short comments like thank you, compliments, as they don`t add any value. Only use relevant link in comments. Focus on specialist websites. Like Forbes, Mashable and Wired. You can use Disqus comments. It is very important to comment on guest posts. So these are the best five sources of online traffic for your website or blog. Try them. If you do have any suggestion, feel free to share via comments. Don`t forget to like us on Facebook and subscribe eAskme newsletter to get updates.